Your mother probably taught you not to steal…That taking something that wasn’t yours was wrong or that pocketing an item from the shelves of a store could land you into a world of trouble. But what you or your dear mum might not realize is that some of your favorite improvisers are cold-blooded thieves. And it’s not just musicians that are guilty of this sin. You see the rules are a little different when it comes to learning a craft. 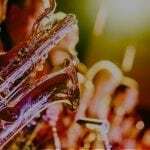 In the world of jazz improvisation, musical theft is actually one of the best ways to learn the crucial skills you need to play a solo. Think of yourself like a musical Robin Hood…you know, the whole “steal from the rich and give to the poor” thing. But in this case you (the practicing musician) are the poor one without any musical riches. You need ideas, harmonic techniques and creative inspiration. And everywhere you look you’re surrounded by recordings of immensely wealthy players that have exactly what you need. If you’re frustrated with the way your solos sound and you want to make meaningful improvement you need to start “borrowing” ideas from the best players. Actually scrap that…you need to storm in, steal everything you can carry, and run for the door! What all those books and courses won’t tell you is that music theory is useless without a real-life model. You need someone to show you how to put all of those scales and chords together in a way that makes sense – that makes music. So rather than telling you to do it, let’s dig a little deeper. 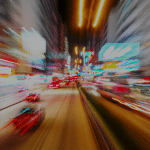 Below we’ll show you exactly why stealing is essential for your improvement and explore 3 ways you can implement creative theft into your routine. One of the most important aspects of learning to improvise is imitation. Listening, transcribing solos, learning tunes, and shedding lines in all keys. There are dozens of names for this process, but at the end of the day it’s simply a glorified version of musical theft. And the more you study innovators and leaders, you’ll realize that you’re not alone. History is full of people that took an established idea, that found a working process or method and adapted it to their own situation. Look at Henry Ford or Steve Jobs. Music is no different. All great musicians start by imitating their teachers or musical idols because the truth is, copying the greatest musicians around you is the best way to learn. If you’re serious about sounding authentic, learning the tradition, and gathering the skills to create a solo you need to steal ideas that work. Remember, the secret of jazz isn’t contained in a book with concise lessons, it’s on the recordings of the masters that came before you. To improve you can’t just read about this information, you need to physically take it and make it your own. The more time you spend listening, the more you’ll hear the influence of past players in the new musicians of today. This is because style has to have a starting place – a point of inspiration or influence. You don’t have any ideas. You’re struggling through a chord progression. You’re staring at a page in the Real Book and you’re drawing a blank. Sure, you know how scales and chords work, but for some reason these things aren’t turning into a satisfying solo. Or maybe you’ve found yourself bored with the same old scales and licks. No matter what tune you play, every solo starts to sound the same. Every musician can relate to these situations, but what can you actually do overcome these roadblocks? Your goal here is simple: take one line from a great player and steal it…note for note. For example, let’s say you are trying to play Giant Steps and you don’t know where to begin. Instead of improvising blindly or trying to match scales with the chords in the Real Book, stop and try a new approach. 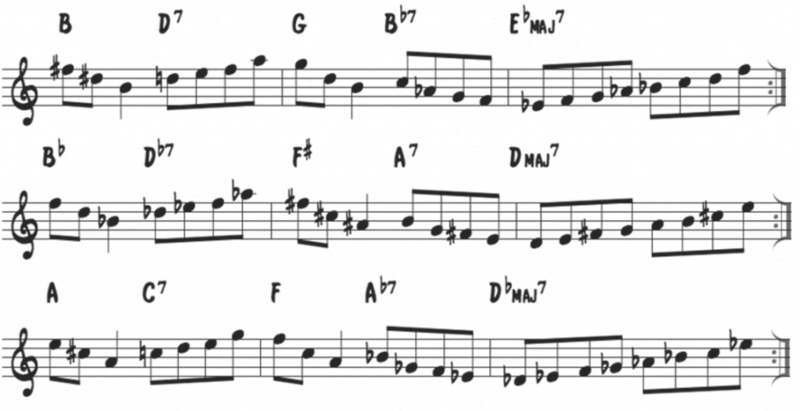 Now, instead of a blank slate or disjunct scales, you have a melodic starting point for your solo on Giant Steps. After a few run throughs you’ll start to get bored with the original line. You’ll want to alter the rhythm, change the direction of the melody or the intervallic structure, to alter notes and chords – this is where your creativity comes in! Rely on this process for any musical situation that gives you trouble – half-diminished chords, ii-V-I’s, turnarounds, jazz standards, etc. Not everything that you steal has to be notes or lines. You can steal a musical approach – a way of playing melodies or applying harmonic concepts to chords and tunes that is unique. And this technique can open up new avenues of creative expression, especially when you encounter tricky spots in a tune or find yourself bored with your solos. Here you’re not stealing exact lines, so much as a melodic technique or implied harmonic tool to apply to your own solos. Start by isolating the parts of your playing that need work and find the players and solos that have what you need. 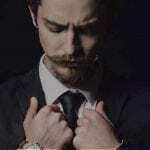 You might steal a new way to play over V7 chords, options for navigating the first 4 bars of rhythm changes, or even ideas for improvising over minor ii-V’s. 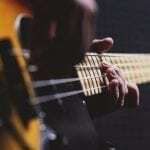 Rather than a lick that has to be played the same way each time, these musical techniques are particularly effective because they can be applied to any chord or tune in countless variations. For example, let’s say you like the way Charlie Parker is approaching and resolving the V7 chords in his blues choruses on Cheryl. Your goal now is to extract this harmonic concept and incorporate it into your approach to improvisation. 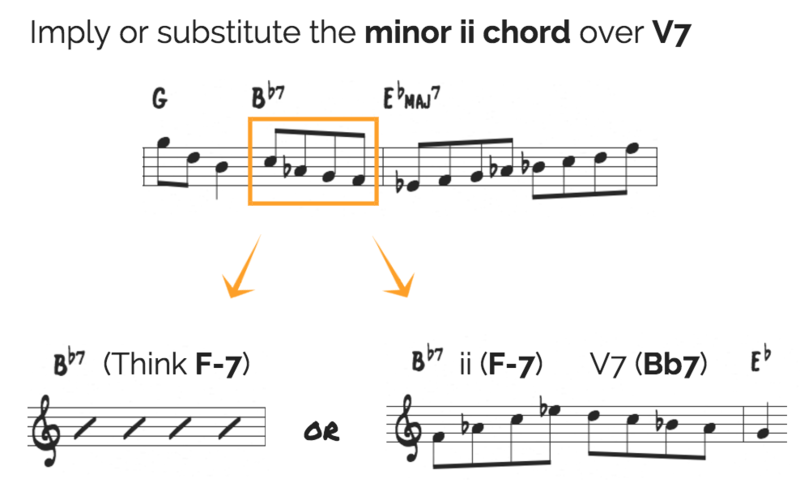 You don’t have to learn the line note for note in every key, you can simply take the overarching concept and apply it to other dominant chords. You can use this technique in the exact same way Parker does or you can apply this concept in your own unique way – totally up to you. Again, it’s not so much the exact notes that you’re stealing as it is the harmonic & melodic techniques that you’re extracting and applying to your own language and solos. Steal the melodic concepts and shapes of Woody Shaw or the harmonic tricks of Kenny Garrett or the phrasing of Herbie Hancock. When you listen to a great player improvise or even play a simple melody, there is something intangible there that goes beyond notes and music theory. 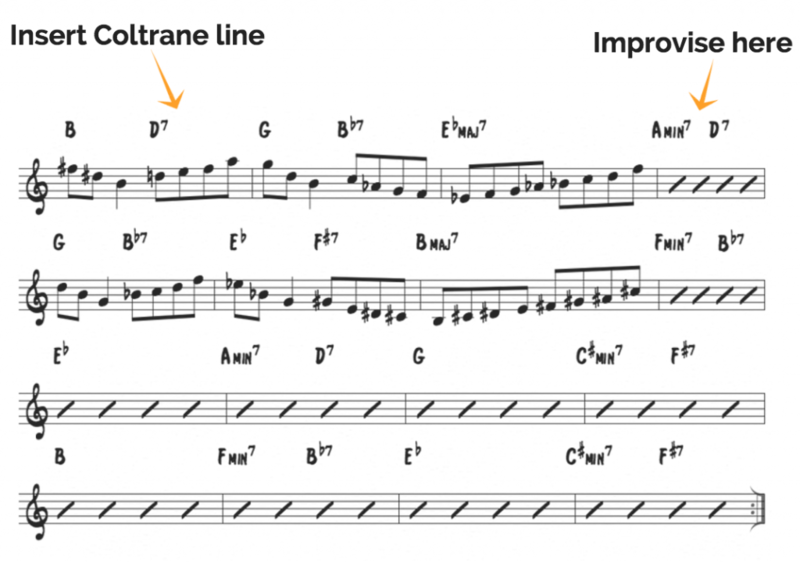 And for many aspiring improvisers, this is the vital aspect of a solo that’s missing. The piece of the puzzle that turns all of those scales and theory concepts into music that people actually want to listen to. With all of the emphasis nowadays on the mental approach to theory and improvisation, it’s easy to lose sight of your intuitive approach to music and the personality or feel of what you’re playing. …this is where the third element of musical theft comes into play. Within seconds of pressing play the sound of the trumpet creates a mood and the entire recording creates a vibe. Beyond notes and harmonic techniques, this is the element that you need to take from your favorite players. Start by identifying the players that speak to you, the recordings that inspire you, and the solos that you wish were your own. Strive to get into character…a musical character. This exercise isn’t about the notes or theory, it’s all about imitation. Don’t over-intellectualize it, just copy what you hear. You might want to play like Kenny Garrett, to absorb Joe Henderson’s time and sound, Chet’s melodicism, or Freddie Hubbard’s tone and articulation. Or maybe you’d like to phrase like Louis Armstrong or swing like Cannonball – it’s completely up to you. By shutting down your analytical mind, closing your eyes and opening your ears you’ll become one with the musical lines of a master. This exercise can become one of the most inspiring and insightful things you do in the practice room. You can escape the predictable approaches to your own solos and discover new possibilities within the music. Sometimes we make improvising more complicated than it is. We think there are rules in place that we must follow, hidden methods that hold all the secrets, or a magic scale or approach to a chord progression that will show us the answers. But the truth is that the answers you’re looking for are right in front of you, you simply have to take them. Try one of these 3 exercises in your practice this week. Spend a few minutes identifying the places in your playing that need the most improvement or the aspects of improvisation that are holding you back. Then isolate that chord, progression, or tune and pick your favorite player to borrow an idea from. It could be one of their musical lines, a harmonic concept, or simply one of your favorite recordings that you imitate. It’s all there, hidden in the recording – you just have to steal it!